International Companies FAQ: Who Pays Payroll Taxes in the US? As you expand your business operations across international borders, you have to familiarize yourself with new regulations. Employment law is one major area of concern. Health and safety might be another. Most international companies are also concerned with business structure and tax programs. Another worry you likely have is US payroll. Most international companies deal with payroll, and most people have questions about how to handle tasks like calculating overtime and paying payroll taxes. You may even ask, “Who pays payroll taxes in the US?” The answer is a bit more complicated than you might expect. Who Pays Payroll Taxes in the US? Several entities may be called on to pay payroll taxes in the US. The most likely scenario is that you as the employer will need to handle payroll taxes for your employees. As the employer, you’re in charge of paying your employees. You know they’ll need to pay a certain portion of their income to the IRS at the end of the year. If they don’t, you could end up on the hook for their missing payments. 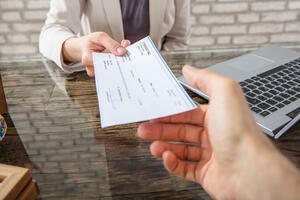 Employers are thus mandated to hold back a portion of an employee’s paycheck and submit that money to the IRS. This is a form of “safe keeping.” Individuals are less likely to save on their own, so this makes it easier for your employees to know they won’t owe the IRS large lump-sum payments. It also means the IRS won’t turn to your company to find the money your employees aren’t paying them. The IRS requires employers to remit their payroll taxes on a regular basis. There’s another group that comes to mind when you ask, “Who pays payroll taxes in the US?” Contractors are responsible for their own payroll taxes. Independent contractors, or 1099 employees as they’re sometimes known, act as independent businesses. They’re more like partners than employees. You might hire them to deliver certain services or to produce a product. Since they’re operating as their own business entities, you’re not responsible for collecting and paying payroll tax for them. These self-employed entrepreneurs will be responsible for remitting their own taxes. You want to be sure you’re filing the proper paperwork on 1099 contractors. Use the IRS’s assessment to determine whether someone is a contractor or an employee to avoid misclassification. Then have the contractor sign the right forms to release you from withholding obligations. There’s another type of entity that can pay payroll taxes in the US. That’s the professional employer organization, or PEO. Many international companies hire PEOs to help them conduct payroll activities in the US. Generally, the international company pays a fee to the PEO that helps them cover salaries, benefits, and other costs associated with employees. The PEO would be responsible for paying payroll taxes. Since they’re handling your payroll, they’ll calculate not only what employees should be paid but also what needs to be held back and remitted to the IRS. Although you’re ultimately paying the tax, the PEO handles the calculation, paperwork, and remittance. So, who pays payroll tax in the US? Several different entities may be responsible. If you need a hand with your payroll, talk to a PEO and discover how they can help. With a new 2019 calendar tacked up on your wall, you’re already beginning to plan for public holidays across Canada. Holidays can affect everything from shipments to payroll. As you map out the year, keep this schedule of provincial holidays handy. The federal government mandates several statutory holidays throughout the year. 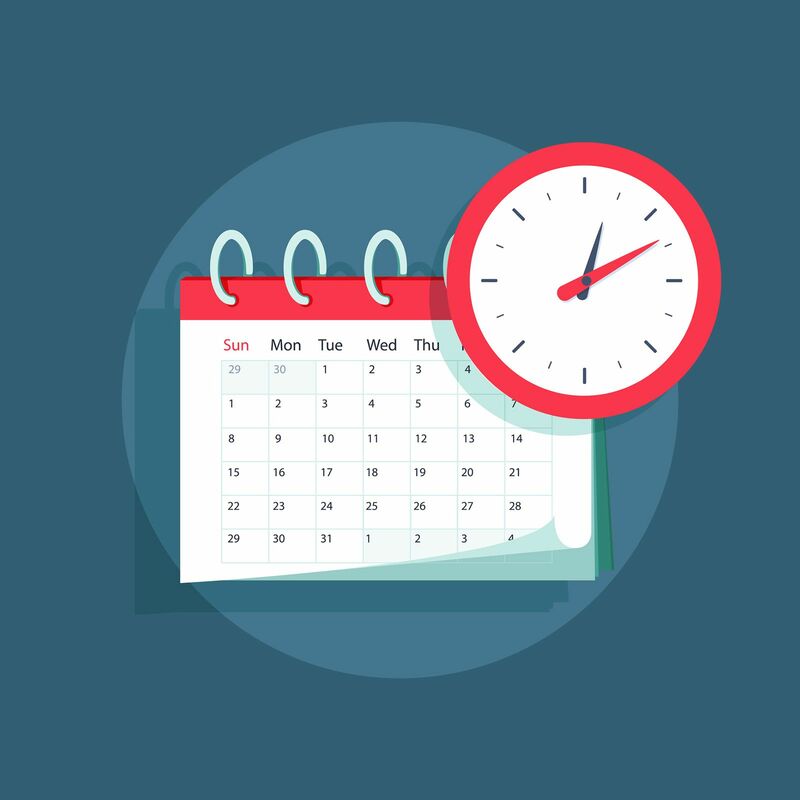 Although the provinces and territories are responsible for determining holidays in their jurisdictions, they generally adopt most of the federal scheduled holidays. The first one is New Year’s Day. The next federal scheduled holiday doesn’t occur until Easter, which falls on the weekend of April 20-21 in 2019. Good Friday, April 19, is a statutory holiday. Since Easter always falls on a Sunday, only businesses that are open on Sundays need to worry about this holiday. Many businesses opt to take off the Monday after Easter, known as Easter Monday, to ensure their workers get a holiday. Easter Monday is a statutory holiday for federally regulated businesses such as post offices and banks, but it is not mandatory across Canada. Victoria Day, which is celebrated on the Monday on or before May 24th, is also a federal statutory holiday. Most provinces give this holiday as well, although in Quebec, it’s known as National Patriots Day. This year, it falls on May 20. Canada Day is usually given on July 1, although employers can opt to move this holiday to the Friday or Monday closest to July 1 if they’re not open on weekends. This year, July 1 is a Monday. Labour Day is the next federally scheduled holiday, falling on the first Monday of September. Thanksgiving is celebrated on the second Monday of October. The year closes out with Christmas and Boxing Day on December 25 and 26, respectively. The provinces are allowed to adopt their own holidays, which means there’s some variation across Canada. Several provinces mark a holiday in February, for example, but not all of them. The third Monday in February is a holiday known as Family Day in Alberta, British Columbia, New Brunswick, Ontario, and Saskatchewan. Prince Edward Island, Nova Scotia, and Manitoba also celebrate a holiday at this time. In PEI, it’s known as Islander Day, and it’s known as Louis Riel Day in Manitoba. Nova Scotia celebrates Nova Scotia Heritage Day. Yukon also observes a February holiday, but about a week later. Northwest Territories, Nunavut, Quebec, and Newfoundland have no holiday at this time. Several provinces also take a long weekend in August, usually around the first Monday of the month. In Alberta, it’s called Heritage Day, while Saskatchewan recognizes this as Saskatchewan Day. New Brunswick has New Brunswick Day, BC has British Columbia Day, and Nova Scotia calls its holiday Natal Day. Ontario, Nunavut, and Northwest Territories call this holiday either the Civic holiday or Provincial Day. Remembrance Day falls on November 11, and it’s technically a national holiday. Some provinces, however, have elected not to observe it. This includes Ontario, Manitoba, Quebec, and Nova Scotia. Easter Monday is a national holiday, but it’s only officially recognized in New Brunswick, Northwest Territories, Nunavut, and Quebec. April 22 is also St. George’s Day in Newfoundland and Labrador. Northwest Territories and Yukon both recognize National Indigenous Peoples Day on June 21. Quebec celebrates St. Jean Baptiste Day a few days later. Nunavut follows Canada Day with Nunavut Day on July 9. As you can see, there’s considerable variation across the country. Keep a close eye on local observances and holidays, and you’ll be able to plan and schedule with ease for 2019. Expanding your business is both an exciting opportunity and a challenge. This is especially true if you’re planning to expand the business internationally. Crossing the border into a new country comes with its own unique set of challenges. If you’re planning to expand internationally in the near future, you’ll want to keep these six tips in mind. They’ll make the challenging process a little simpler. The first thing you’ll want to do before you set up your business in another country is review the legislation. This can include employment legislation, financial legislation, and legislation regulating your market. For example, Canadian law about employee safety, employee breaks, and even leaves and absences can be quite different from American legislation. You’ll also want to take a look at legislation around duties and imports. You may want to enlist the help of a lawyer or another trusted professional. No one expects you to be an expert, but it does help to gain some familiarity. Another area of law it’s prudent to look at is tax legislation. Your business will be taxed differently according to a number of different rules. You’ll want to carefully consider your business structure for this reason. Different structures have different advantages and disadvantages. You’ll want to be sure the option you choose is tax efficient. When you do finally begin to cross the border, you’ll want to employ employees for the business. This can be a tricky process to navigate for quite a few reasons. Working with a professional employer organization might be the answer you’re looking for. The PEO acts as the employer, which means you can leverage their infrastructure to provide human resources support for your business operations on the other side of the border. There are some countries where you expect to run into cultural differences. For example, most people wouldn’t be surprised to learn that Japan and America have very different work cultures. More shocking is how different the work culture can be between two very similar countries. Take, for example, Canada and the United States. While these two countries have very similar cultures, there are a number of significant differences that might surprise you. Wherever you decide to set up your business, you’ll want to do some research into the local culture and learn about what differences you can expect. Then you can take steps to ensure both sides of the cultural divide are respected. You’ve done your market research, and you’ve looked at the logistics. You know, however, that things don’t always play out in practice as well as they do on paper. This is very much the case when it comes to setting up your business in another country. There may be unexpected costs, or demand may not be as high as you anticipated. Perhaps the market has changed since you did your research. In any case, it’s best to start expanding slowly. Be sure to carefully choose your location. It’s better to build demand than to jump into a market where demand doesn’t exist. You may want to send some of your talented employees to oversee operations at the new location as you set up. Alternately, you might want to invite some of your new employees to spend a week or two with you at your head office to learn about the company. These cross-border opportunities present their own challenges in terms of paperwork. Work with a PEO to make sure everything is being completed as necessary. With these tips, expanding your business into a new country can be a breeze. As a business owner, one of your goals is no doubt to continue expanding and growing your company. Sometimes, expansion involves opening a second location in the same city or town. In other cases, it means expanding your vision and looking beyond international borders. There are many benefits to expanding internationally, including greater access to talent, diversifying your markets, discovering foreign investment opportunities, and more. Most businesses expand for the revenue potential, but this is not the only reason to choose to go global. Once you’ve decided to embark on a global expansion, however, you’ll want to choose your expansion locations wisely. These tips can help you make better choices for the international markets you enter. Step One in any global expansion program must be to do your research. You can’t choose the right expansion location if you don’t first look at the market itself. There are many factors to consider when you look at any given market. You’ll want to know how many competitors are already in the market. Question whether or not there’s demand for the product or service you offer. You’ll also want to look at legal and administrative requirements, and you’ll want to get an estimate on how much it will cost to set up shop in this new location. What will you need to pay your employees? What does the law say about tax withholding on payroll? All of this must be considered as you look at various locations for expansion. There are almost countless cultures worldwide. While considering culture might be part of your market research, keep in mind culture can influence many different aspects of a business. It may influence how you structure your business or how employees are legislated. It can also influence demand for your products and services. Overall, many companies find it easier to expand into places with similar cultures before they grow into other international markets. This can protect you during your first few expansions. 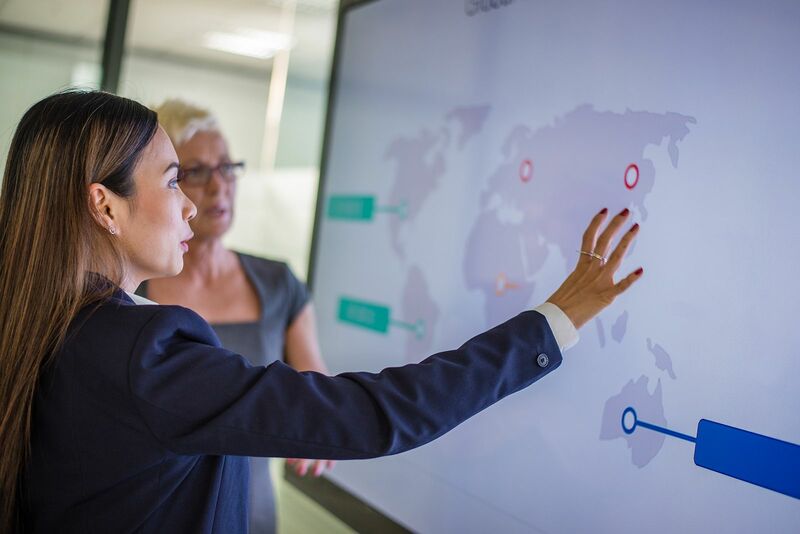 As you become more familiar with the process of going global, you’ll be ready to take on vastly different locations with very different rules, regulations, and cultural expectations. You’ll want to create a budget to fund your expansion activities when you go global. You’ll need to use your research to power your insights here. Evaluate expenditures, such as payroll, the cost of hiring employees, and even logistics. These factors can make or break an expansion effort. Taxes are another aspect you’ll need to consider, and you’ll want to look at business structures as well. Will one structure help you access more capital or achieve significant savings on your business taxes? Choosing the most tax-efficient structure is always a wise choice. In some countries, you’ll be able to find plenty of qualified help to assist you with your expansion activities. Different countries have different laws, of course, so partners like PEOs may not be available in every market. You may want to consider expanding into a country where you can access these services, especially if this is one of your first global expansions or if you have a limited budget. Working with a PEO can help you streamline your operations, maintain compliance, and reduce costs. The PEO can also offer great advice and insight into things like the local job market and changing legislation and requirements. Expanding to a foreign market is an exciting opportunity. There are many common errors and missteps companies can make along the way. You can prepare extensively, but be prepared to learn along the way as well. With these tips in hand, choosing a location for your next global office can be a little easier. Is It Time to Break up with Your Professional Employer Organization? Working with a professional employer organization (PEO) is a strategic move for many business owners. It has plenty of advantages for those involved with international companies looking to expand into other territories. In fact, partnering with a PEO is one of the smartest things an American firm looking to expand to Canada can do. It’s helpful for companies based in other countries as well. 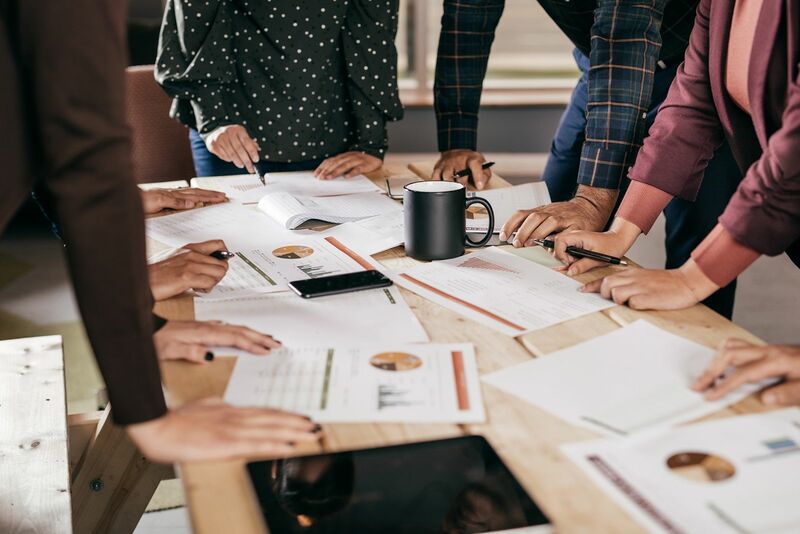 Not all professional employer organizations are created equal, however, and the PEO you’re working with currently may not be living up to your expectations. Is it time to break up with them and look for someone else? Here are some of the signs you should look for. How often do you hear from your professional employer organization? If the answer is “almost never,” then it’s likely time to end the agreement and look for a new PEO. 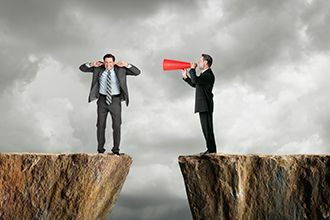 Communication is important for keeping business operations running without a hitch. If a change is made to CRA rules and regulations concerning taxable benefits, you want to know about it. You might want to reconsider the benefits you offer to your employees. 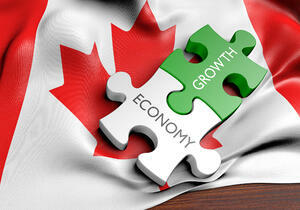 There are so many things you’ll want to know when it comes to your business operations in Canada. Your PEO should be communicating and discussing these with you. If they’re not, it’s time to break up and move on. One very good reason for international companies to work with a PEO is to improve their compliance with Canadian law. It’s quite likely you and your HR team won’t know everything there is to know about Canadian employment legislation. You want the professional employer organization you work with to have expert knowledge and to put that knowledge into practice. 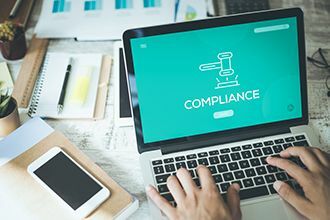 If you’ve been penalized or audited by the CRA or another government agency in Canada, your PEO is likely non-compliant. While mistakes do happen and laws do change, you’re working with them to avoid these negative outcomes. If it happens more than once or becomes a regular occurrence, it’s time to move on. Some PEOs offer seemingly every service under the sun. Others have a much slimmer selection of services for their clients. The question is more about your business and the services you need. If your PEO doesn’t provide the services you want or need, it’s time to look for a PEO that does. Sometimes, this issue arises from changes within your own business. Now that your Canadian operations are growing, you need an additional service. You didn’t need this when you signed up with this professional employer organization, and you didn’t anticipate you would need it. If you’ve “outgrown” your current PEO and their service offerings, it’s time to look for a new partner. Working with a professional employer organization is a business move. You partner with them to deliver services, which you pay a fee for. Cost is clearly something on your mind when you work with a PEO. Some providers are upfront with their fees. Others will offer you a low price and then introduce all sorts of additional or “extra” fees for particular services. These hidden fees add up, costing you more and driving down the value of your partnership with the PEO. If you’ve ever received your bill from your PEO and wondered why it was so high, it could be time to break up with them and look for someone else. There are many PEOs, but if you’ve had to break up with one provider, you may be leery about others. Good PEOs are out there. Look for one that provides excellent communication and is transparent about their fee structure. The right PEO for your business is out there. You’ve likely heard about the gig economy by now. Both employers and employees are benefiting from this bold new era. While it’s a major realignment from the older economic model, it has many advantages. Employees are moving from “gig” to “gig,” gaining experience and often making a name for themselves as experts in their fields. Employers are also benefiting from the structure of the economy. It allows them to hire people when they need them, for as long as they need them, and then to part ways when the job comes to a close. The employee moves on to their next exciting opportunity. The gig economy has been spurred by many different changes, from the technological to the social. Economics plays a large role as well, as many employers can save money while workers may even be able to increase their earnings. 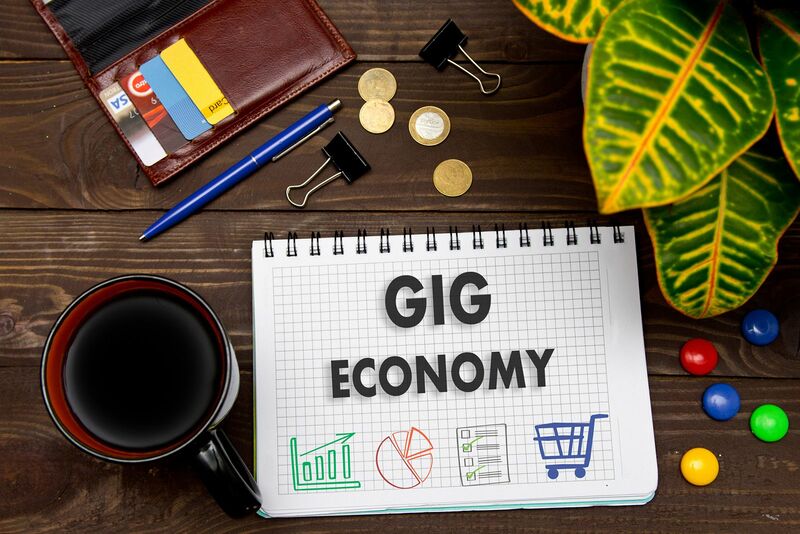 The gig economy is now beginning to dominate the economy in many different areas of the globe. Europe, the US, and Canada all have developing gig economies. How can you take advantage of this development? International firms operating in Canada may see even more advantage with the gig economy than other companies. One reason for this is they may have more seasonal operations or more limited-time postings. You may want to hire someone to execute a marketing event or you may want to bring a computer programmer on board to oversee a small, limited-time project. Hiring someone on the ground is often better, especially if you’ll need them to come into the office. If you need someone familiar with the market or a local area, you may also find it best to hire locally. The obvious problem is that it can be difficult to hire, even at the best of times. If you’re unsure about the local market or located at some distance from it, it may be more difficult to find the people you need. If you’re looking for operators working the gig economy, you may encounter additional difficulty in bringing the right people on board. As mentioned, it can be difficult for international firms to find and hire the right people for their day-to-day operations. Hiring someone for a special project or a limited period of time can be even more challenging. You may find it difficult to get people on board on short notice. It can also be challenging to find the right people in the gig economy. If you’re not familiar with the local market, you may not know who’s considered the best or who to steer clear of. This can be compounded if you’re hiring in a hurry or need someone for a very particular window of time. Since you may be hiring highly skilled people, the stakes can be even higher. The most talented may not be available or there may be relatively few people with the skills you need. One solution to all of the challenges outlined is to work with a Canadian professional employer organization (PEO). They can help you find the right people when you need them. 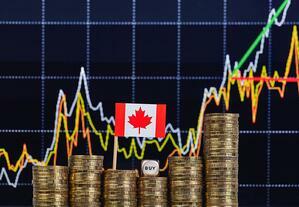 How can a Canadian PEO help? First and foremost, they’re more familiar with the local market. They may be able to access the Vancouver job market or the Halifax job market more easily than you can. They may also have knowledge about who operates in which market. They may have worked with some of these people before and have trusted providers to turn to. The PEO can also help expedite and ease the hiring process. In turn, hiring becomes much less stressful and far more streamlined. 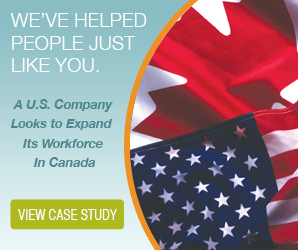 You can realize better hires in less time with a Canadian PEO. The professional employer organization can also take care of contractor payments for you. If you need to tap into the gig economy in Canada, look no further than a Canadian PEO. You’re constantly looking for new ways to grow and expand your business. Perhaps you’ve considered reaching out to a new demographic, or maybe you’ve added a new product or service to your line up. Maybe you’ve considered expanding to a second location in the same town, the same state, or the same country. Now you’re thinking even bigger. You’re going to expand your business internationally. Whether this is your first international expansion or your fifteenth, you know the process will be challenging. You’ll need to conduct careful research and learn many new rules and laws. You’ll need to work with a variety of different partners, including new vendors, new suppliers, and potentially an employer of record. An employer of record is a business that supplies human resources services for another business. The name comes from the fact that the EOR acts as the employer of any employees the client business has. The employer of record provides most of the services an employer would, and they are legally recorded as the employees’ employer. They provide payroll, administer leaves and vacation pay, remit payroll taxes to the CRA, calculate and administer benefits, and even engage in hiring and termination on behalf of the international client company. One question you may have is why you would need to engage an EOR or use their services. After all, if you expand internationally, you’re going to set up shop in the destination country. You have your own HR department, and you can go about hiring and terminating employees as needed. After all, you do it just fine at home. The issue here is the difference in the legal framework. An American firm is quite used to the payroll taxes and legislation set out by the US federal government and the IRS. In Canada, the rules are different, and the Canada Revenue Agency enforces them. The provincial governments also legislate on employment. Ontario, for example, just revised the law regarding leaves and vacations, as well as holiday pay for statutory holidays. The province of British Columbia changed how its healthcare provisions work, meaning employers who have opted in to the provincial system of insurance now pay and administer different fees. The rules are different again in Quebec, Alberta, and Nova Scotia. International companies moving into Canada for the first time often aren’t as familiar with the law as they think they are. Even if you’ve operated in Canada before, legislative changes could mean what you once knew is no longer true. Working with a partner who delivers employer of record services helps you ensure your business operations are compliant with the legislation, no matter how new or recently changed. It also means you don’t need to worry about the subtle differences between laws in BC and Alberta. The employer of record will be attuned to those differences. This can save you both time and money. Your HR staff’s workload will be reduced significantly, as they won’t be required to learn Canadian law inside out in order to administer payroll or ensure the questions they’re asking in an interview are legal, for example. It can also reduce errors in your payroll as well as tax remittances to the CRA, which can save you from costly penalties and audits. It should be clear just why these services are so important for businesses hoping to undergo an international expansion. In the simplest terms, it makes it easier for you to expand. One of the biggest challenges for business owners is selecting an employer of record. Be sure to conduct some careful research and talk to several providers. Always consider what’s best for your business and how each provider will meet your needs. The right provider is out there.